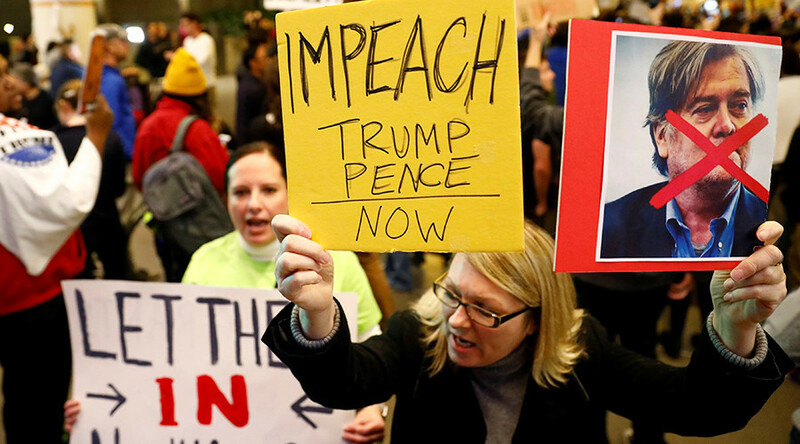 After just one month of President Donald Trump, the Richmond City Council in California has become the first city to officially call on Congress to investigate impeachment proceedings. Councilmember Gayle McLaughlin, who proposed the resolution, cited Trump’s business holdings as the reason for congressional investigation. "Ordinarily, it would be odd to be talking about the—well, everything about this administration is odd,” Councilmember Jael Myrick, who voted for the resolution, said, according to Democracy Now. “But it would be odd to be talking about the impeachment of a president only a month into his term. Unfortunately, with this president, it’s oddly appropriate." The Emoluments Clause prohibits any person holding federal office from accepting payments, gifts or titles from foreign governments or foreign government-owned businesses, without the approval of Congress. 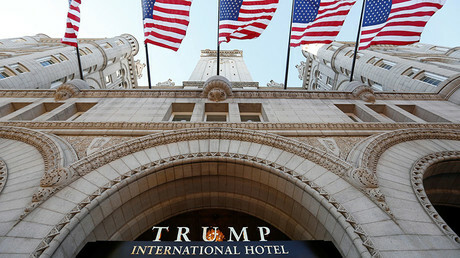 Days after Trump took office, Citizens for Responsibility and Ethics in Washington (CREW), a government watchdog organization, filed a lawsuit, alleging his hotel in Washington, DC violated the Emoluments Clause. At a January 11 news conference, Sheri A. Dillon, an attorney for Trump, explained that the Emoluments Clause does not apply to Trump’s hotel, and that federal law exempts the president from conflicts of interest. Without any evidence that Trump has financially enriched himself as president, or that he has committed any “high crimes and misdemeanors” to be impeached, it would be hard for Congress to investigate him. "[Y]ou don't have a voice because the GOP controls Congress and you people are stupid enough to think Congress will impeach Trump," resident Mark Wassberg said to city council members, according to WABC.